Rotate the model by 90 degrees. 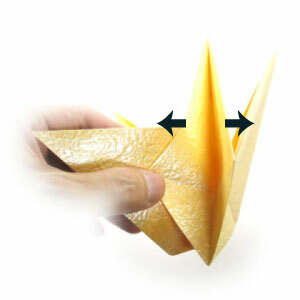 Prepare to pull two edges out following the arrow directions. Pull two edges out following the arrow directions of the step #29. 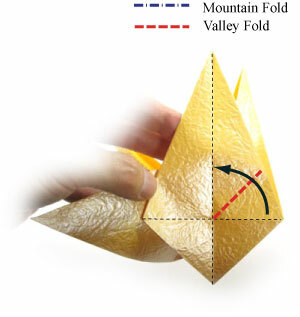 Prepare to apply a valley-fold on the 2nd petal.